How to use Honey in your Mediterranean Diet. Ancient Greeks used to drink Mead, that is, Honey fermented in water. The history of honey, we can infere, is so old and strictly tied to the Mediterranean Countries: it is thought that beekeeping in Italy began with the first Greek settlers in s Southern Italy in 700 to 800 B.C! 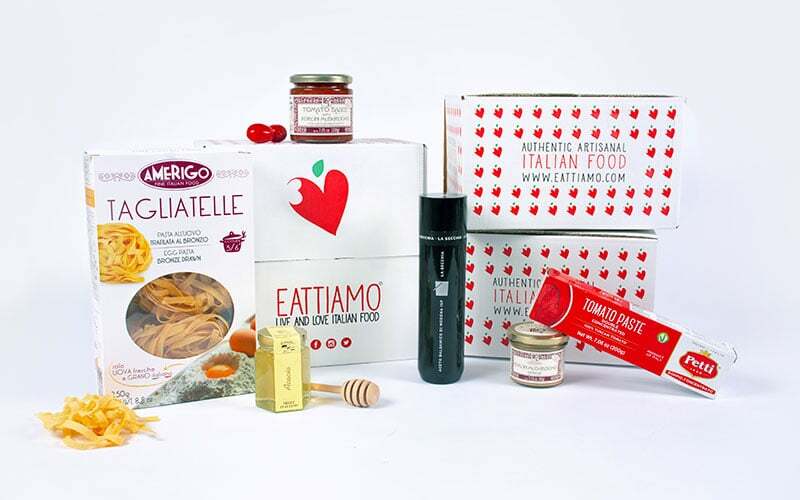 With more than 50 varieties, Italy holds the record for the Country with the largest number of Monofloral Honey. Together with Extra Virgin Olive Oil and Balsamic Vinegar, it is an unmissable staple of Italian Cuisine. 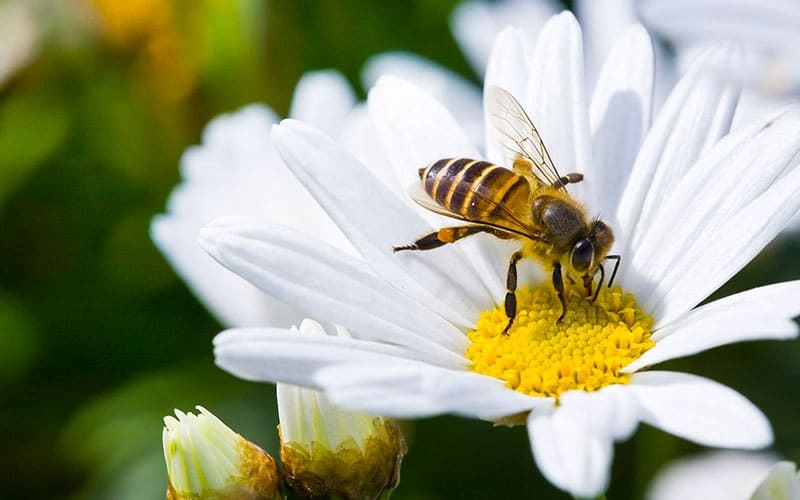 Bees start making honey, which is their food, by visiting flowers. They collect flower's nectar from the blossom by sucking it out with their tongues and store it in the so-called honey stomach, which is different from their food stomach. When they have a full load, they fly back to the hive. There, it’s passed from bee to bee, until it gradually turns into honey and then stored in honeycomb cells. The honey is still a bit wet, so they fan it with their wings to make it dry out and become more sticky. When it’s ready, they seal the cell with a wax lid to keep it clean. Honey is also the only food that doesn’t spoil. It was found in Tutankhamun’s tomb, and it was still edible. However, one may observe some changements in couple of months after harvest, but this is a natural process called honey crystallization bу whісh hоnеу turnѕ frоm а lіquіd tо a ѕеmі-ѕоlіd ѕtаtе wіth grаnulаr соmроѕіtіоn. Quite often honey crystallization is "misunderstood" by consumers. Some of them, indeed, assume that this happens because of poor quality or bad storage while, actually, it's just the opposite: if honey does not crystallize for a long time - except for those types such as Acacia Honey in which the natural crystallization goes slower - it is a clear indication of added preservative or other kind of adulteration. With such a long shelf life, you can imagine that it's pretty simple to store honey , just keep it in a cool location away from direct sunlight and in a tightly sealed container. Avoid storing honey in metal because it can oxidize. It is not necessary to refrigerate honey. In fact, it's much easier to handle if you don't because the cooler temperature will cause the honey to solidify making it difficult to use when you need it. We can say that the Honey Production comes from the magic synergy between three elements: bees, humans and environment. And Italy has two big lucks in this sense: first of all, the Italian honey bees, the world’s best, producing the world’s best honey. The Ligustica Species, indigenous to Italy, are the best bees at selecting good flowers: they resist the cold and the heat, eat a lot, but produce the best. Second, the environment. Italian topography, with plenty of hills and valleys, allows the hives to be put out to pasture at a great variety of altitudes and for very different periods. Italy can also offer a huge amount of microclimates and biodiversity: from the mild winters in the southern seaside to the Alpine weather in the Mountains. Beekeepers - the human element of this special synergy - have exploited this particular combination by opening a new route for honey: Monofloral honey. With more than 50 varieties, Italy is the country with the largest number of monofloral honey. Italy produces not only an astonishing number of monofloral honey but also a good amount of "wild flowers" honey, the so-called "millefiori". Each one has very unique, distinctive notes and color as well as texture can vary significantly. The time of year and area in which the honey is harvested also have an effect on taste and appearance. Millefiori Honey, which literally means a thousand flowers, is also known as wildflower honey. Each harvest is a reflection of the particular flowers that were growing in a particular place, so Millefiori Honey can vary from year to year and from place to place. Acacia Honey is collected from the nectar of the white blossoms of the Acacia tree. It is known for its delicate flavor and almost crystal-clear color. Its fpourable consistency make it an excellent all-purpose honey: it can be used to sweeten tea, paired with fresh cheeses, with fruits, as sugar substitute in cakes and more. Chestnut Honey has a strong taste and a slightly bitter after taste. Dark in color, ranging from yellowish brown to almost black, sometimes with amber hues, it has an aromatic, pungent herbal aroma and taste and slightly tannic that make it highly appreciated by those who like a strong, less sweet honey. Zagara Honey or Orange Blossom Honey is typical of Sicily. It has a lovely light amber colour with a gentle fragrance and very pleasing taste. It is marvellous on its own, with hot drinks or to flavour natural yoghurts and desserts and on cheeseboard too. Sunflower Honey: fеw реорlе knоw thаt it іѕ аbѕоlutеlу рurе. Наrmful ѕubѕtаnсеѕ аnd роllutаntѕ frоm thе ѕоіl аrе in fact rеtаіnеd іn thе ѕunflоwеr ѕtеm аnd ѕо thе nесtаr thаt bееѕ соllесt rеmаіnѕ іntасt. Its color may vary from light yellow to dark yellow, or golden and it has a fresh flavor. Cherry tree Honey is a dark, rich, fruity honey. It’s got a smooth, almost soothing flavor. This honey is extremely difficult for the bees to produce due to the rain and the cold of April. The blossoms, indeed, are only on the trees for a very short period. Honey can be used in the preparation of a wide variety of dishes, particularly cakes. It pairs perfectly with yogurt, fruit and certain vegetables such as carrots. 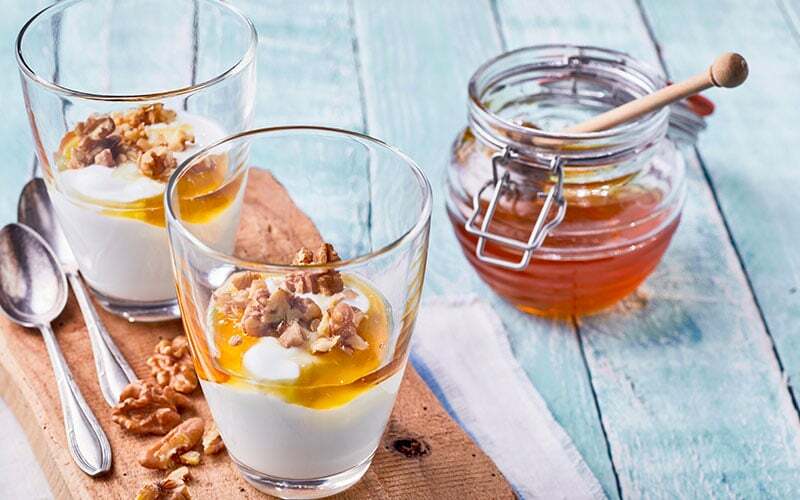 Some typical Italian sweet treats such as torrone, panforte and fritters call for honey in their recipe. In particular, it is a favoired ingredient in Southern cuisine, as the Southern part of Italy has experienced the strong influence of the Arabs whose palates have a preference for sweet and sour combinations. Another unmissable match is Honey and Cheese: it’s a custom in Italy to start a meal with a beautiful board of assorted antipasti featuring cold cuts and cheese paired with different types of honey and fruit preserve. Another idea for honey-and-cheese-pairing? Our Healthy No Bake Cheesecake with Honey! You can also use Honey instead of sugar as sweetener: thanks to the higher concentration of fructose, honey is sweeter than sugar so you need a smaller quantity and - undergoing less processing - it's healthier, as well. Good and Healthy! The health Benefits of Honey. Last but not least, honey is said to offer several Health Benefits. High-quality honey contains many important antioxidants such as organic acids and phenolic compounds like flavonoids that can prevent cells from ageing. Interestingly, several studies have also showed that honey may improve your cholesterol levels, by increasing the "good" cholesterol and lowering the "bad" one. 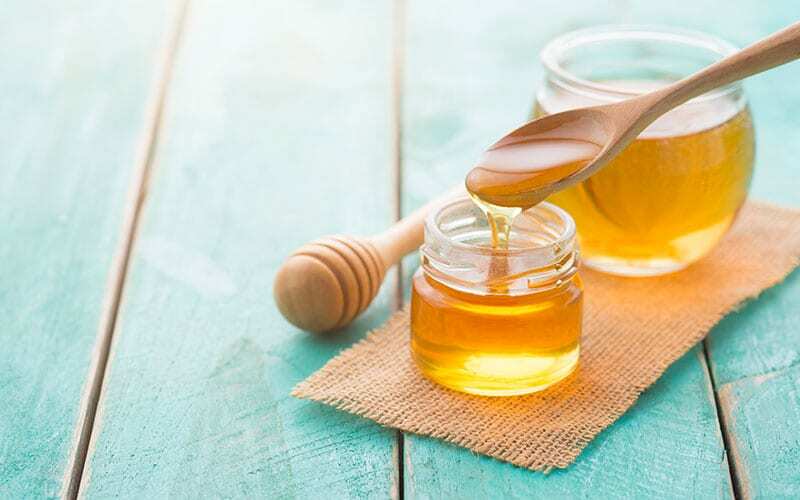 Lot of home remedies use the healing powers of honey: italian grannies will suggest you to use honey as a topical treatment for skin burns and wounds. Eating a spoonful of honey is instead a well-known remedy for sore throat. 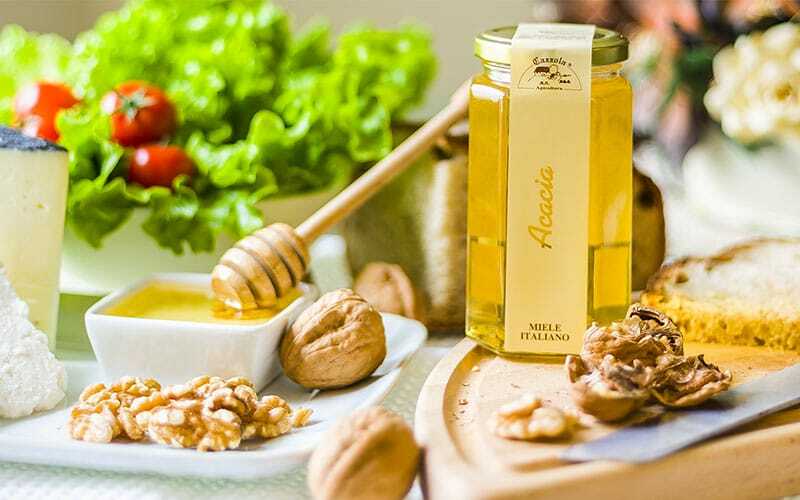 Due to the high presence of fructose, Acacia Honey has a slightly acid and very sweet taste. It goes with savory and spicy cheese. It is also excellent for sweetening without altering the taste or the aroma of beverages, so you can use it as a substitute for sugar in fruit salad, cakes or tea. Pier Paolo and Fabrizio are the two brothers and beekeeper behind the Apicoltura Cazzola. Wanting to produce different monofloral varieties of honey, they carry out the tradition of the so-called nomadic beekeeping: they wander the hillsides and fields of Italy, carefully following seasons of dozens of different types of flowers, placing their bees in lot of different locations across Italy.